Students intersted in starting a career as an electrician will benefit greatly from our Electrical Wiring Residential course. In this 4 month course students will learn the basics of wiring residential according to the 2008 National Electric Code that every electrician must adhere to. 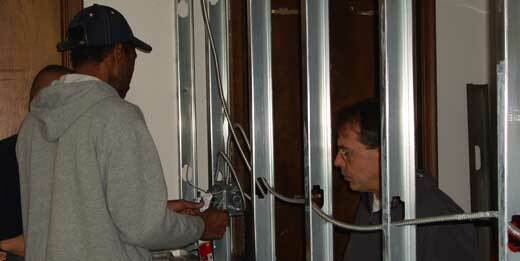 The course is taught by an experienced Master Electrician. Code and safety methods are stressed in this course and all of the projects are supervised by the instructor. After the four months of class students will graduate from this course with a certificate and the knowledge needed to pursue a carrer as an Electrician.